I've had a bit of a break from giveaways but I come back with a real humdinger of a prize. 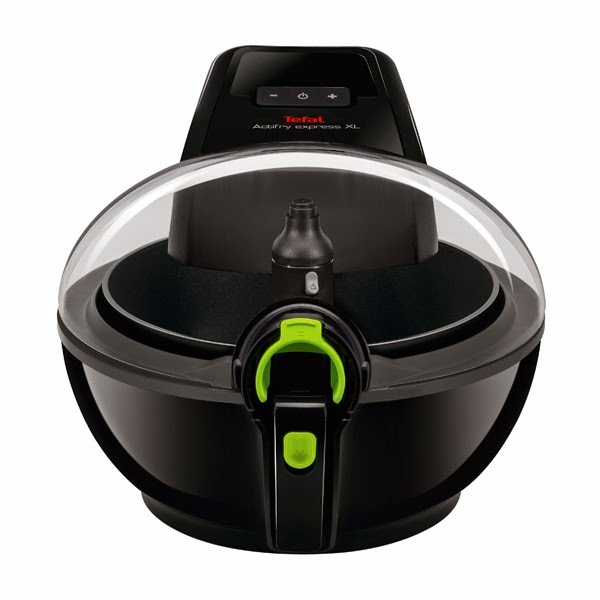 It's an Tefal Actifry Express XL and is available from Ideal World TV , whose ‘Great Easter Giveaway’ launches on the 2nd April 2015. I am preempting this with my own giveaway, but do head over there and join in this weekend, there are some exciting prizes. 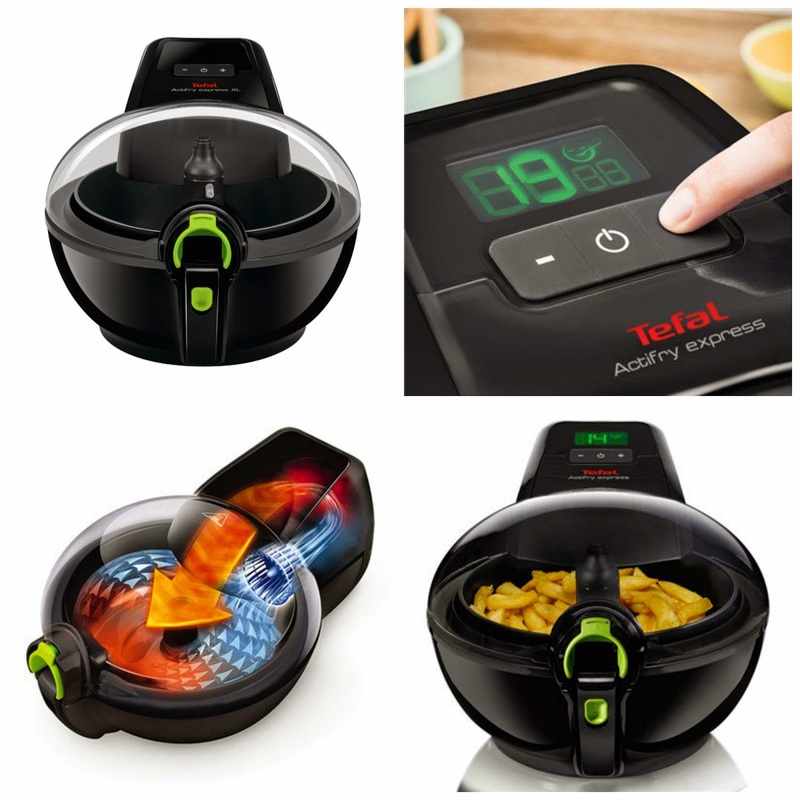 Introducing the new Actifry Family Express from Tefal, the quick and healthy way to cook delicious chips for the whole family. The Actifry Family Express XL cooks 1kg of chips in less than 30 minutes - up to 30% faster than the original Actifry 1kg! With a 1.5kg capacity, just one spoonful of oil will cook 6 portions, enough to feed the whole family! Not just a one chip wonder, the Tefal Actifry Family Express XL can be used to cook up curries, stir fries casseroles and more. Coming with a great recipe book, the Actifry Family Express XL makes it quick and easy to cook you and your family healthy meals. Easy to clean with automatic stirring, the Actifry gives your more time to get on with the important things - or to put your feet up with a cup of tea. Fry using only one spoonful of oil. Cook frozen food with no added oil. So would you like to win one? Just leave me a comment and enter via the rafflecopter below. This giveaway runs until 30 April 2015 and is open to UK only. A chip fryer that does curries?! I want one! Fantastic prize :) I've been jealous every time I've seen one of these and my dad would be very happy to have fried foods more often - if my mum lets him! Fab giveaway - I would love to win!!! This might help with Mr B's cholestoral levels and love of chips! Great prize - would love to win one! Oooh, I've always wanted to try one of these! I've wanted one of these for ages, please count me in. i'd love to win one of these, on a bit of a healthy eating stint at the moment! Fantastic prize :) would love to win! These look amazing, would love to try some sweet potato fries in it. Currently doing slimming world so this would help me loads. I think I'd make some nice chunky chips accompanied by steak.. Mmm, steak! I've heard great things about the Tefal Actifrys, but they're just soo expensive. I keep hearing so many good things about the actifry. Would love to try the food this makes, heard good things! I wanted to try this. Thank you so much for the opportunity! I have been dying to get one of these for so long!!! Just can't afford one on a student budget. I dream of all the tempura dishes I would make with this. I would love one of these! i would be able to make nice chips again! Thanks for the chance. This new model looks great. Fancied one of these for ages but can't really justify the price at the moment as we're raising a young family. Always hearing good things about the Actifry and the benefits it brings to your familys health. Scott Walliss - Fab giveaway! Man versus the machine :) Could use this,thank you for the giveaway. I have wanted one of these for ages. Great prize! Great giveaway. I've been wanting one of these for a while. Thank you. I'd love one of these. Fantastic prize, I would love to win! I've had my Original Actifry since they were launched in the UK and love it, but this looks even better. Have you tried making parsnip chips in it? They are brilliant! Great giveaway. This would come in very handy! Would love to try one of these, amazing giveaway thank you. I'd love to win one of these, it's been on my wish list for a while now, I've heard so many good things about them. Thanks for the giveaway. I think this is my most coveted kitchen gadget! I would love to win this fantastic Tefal Actifry. It would be a wonderful & valuable addition to my busy kitchen. I have never owned a fryer. This looks fantastic. I'd love one of these! It's on my wish list! This would be a perfect replacement for our original Actifry which after 2 years of service is ready to be retired. fab prize, thanks very much. Amazing giveaway, would love one of these! Brilliant competition - thank you. Have wanted an Actifry for a while now - out of my price range though! This sounds absolutely great. Fingers are crossed. Looks great!! Black would match what my kitchen looks like. Really fancy one of these, better than a nutri-bullet eh! Super size meee my family is growing we need bigger! My mum has one, they're fantastic, I would love one too! Fantastic giveaway prize, a brilliant addition to any kitchen. These sound really good. I'd love to try some parsnip chips and vegetable crisps in it. What a great little all round cooker for those with little time on their hands. Have just stumbled across your website whilst trying to find some 5:2 diet recipes for veggies (great ideas) and also saw this. What a treat it would be to enjoy some healthy (ish) food cooked in this on a no fast day! I would love to win one of these. Great prize many thanks would love to win! It would be great to do chips in one of these. Never heard of this. Sounds intriguing. I never knew you could make curries and stews in these! Now I really want one! I would love to win one please! Great giveaway, would love one to try. Fab prize and something I'd love to win to make meal times quicker and easier for my growing family! Would love to try making chips with this! Been eyeing this up for sooooo long! Have wanted one for ages. This has been on our wishlist for a while! Hope I'd use it for more than chips,although I bet that's the first thing everyone cooks in a new Actifry! I didn't realise it the Actifry could do more than fry chips! Thanks for running a great competition. I'd love to try one of these, I'd end up having chips occasionally and would love to try making sweet potato chips! I'd love an actifry I seem to have every kitchen gadget but this! Would be marvellous to own one of these. A great way to make healthy foods. I've wanted one of these for so long! Awesome giveaway! Fridge Spy. How nosey are you?